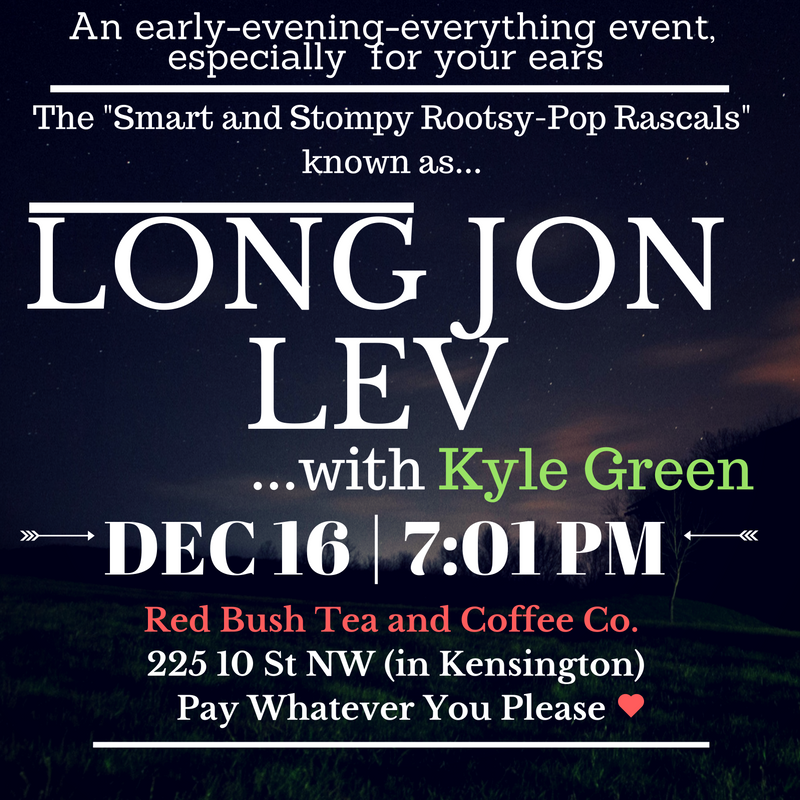 Long Jon Lev last appeared at Red Bush Tea and Coffee Company on October 21, and will be putting on an encore performance at Red Bush to round out a busy year of performing on December 16, 2016 at 7:01 PM (yes, exactly 7:01 – make no mistake). You won’t be able to catch the band again until after the New Year. Do you live in the Calgary area? Then you’re invited. Do you live elsewhere? You’re still invited – assuming you can somehow make it out. 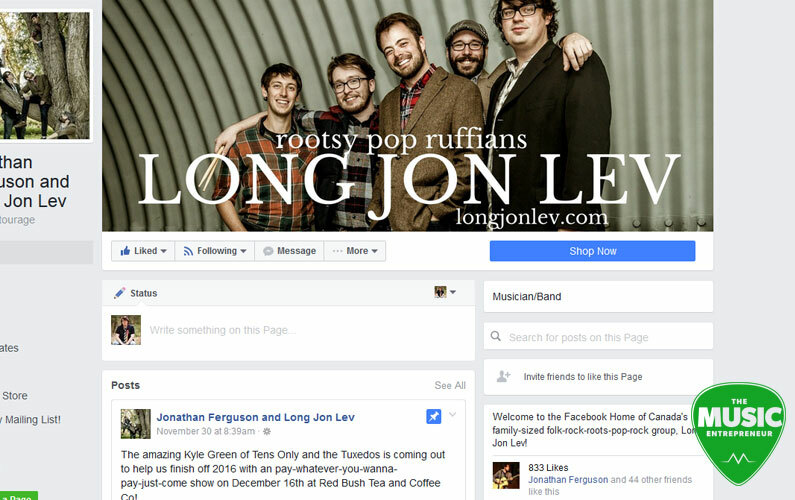 The “smart and stompy rootsy-pop rascals” known as Long Jon Lev currently consists of Canadian singer/songwriter and master wordsmith Jonathan Ferguson, lead guitarist (our own) David Andrew Wiebe, bassist Ben Comeau, drummer Harry Faunt, and multi-instrumentalist Dan “Super-Dan” Mills. The promo handbill for the event. Opening for LJL will be Kyle Green of Tens Only and The Tuxedos. Tickets? Nope! This is a special pay-whatever-you-want event. We know things are tough with the economy right now, but we trust “free” is manageable for most. The musicians, however, will accept and appreciate any donations you make! Hey, we get it. Everybody’s busy, and there’s a lot going on. But we would love to see you down there. So, if you’re not sure if Long Jon Lev is for you, have a look at this post. There are three videos showcasing what this cool band is capable of. The band lineup will be a little smaller at the upcoming show compared to what you see in the videos, but hey, it’s an ever-evolving band. It will still be cool, perhaps in a completely different way. Red Bush Tea and Coffee Company (aka The Candy Kid) is in Kensington at 225 10 St. NW. Opening act Kyle Green will be followed by Long Jon Lev, who will bring the night home. Be there at 7:01 PM with small donation in hand, and don’t forget to go upstairs to find them.